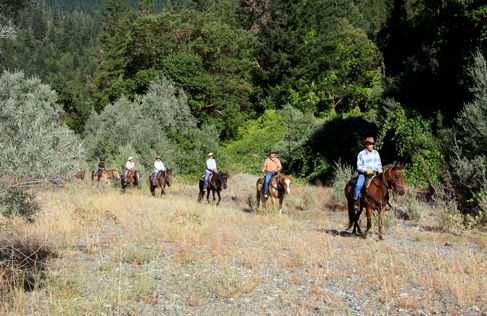 Marble Mountain Ranch offers California's signature all inclusive dude ranch vacation. 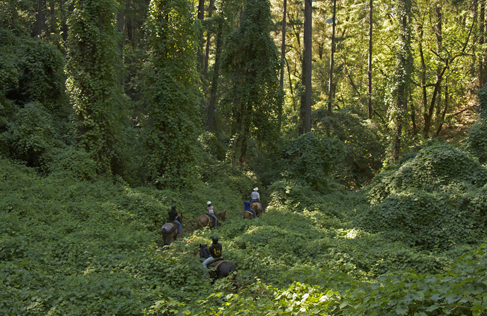 This guest ranch's unequalled saddle / paddle vacation mixes morning trail rides and arena riding games with afternoon white water rafting. 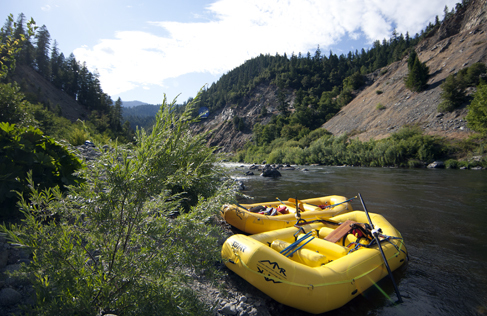 Each day brings a new trail, and a new river experience. 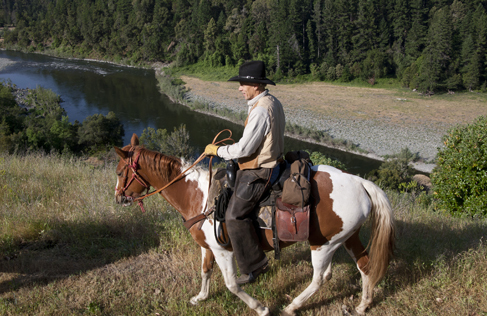 Added to the saddle / paddle activity mix is fishing, daily shooting sports, and traditional ranch events such as hayrides, campfires and lariat games. If your party has mixed interests and needs, this is the vacation for you... and it's budget-friendly. Don't worry about the upcharge for events, because the only events that are additional are the jet boat river tours to the ocean and optional NRA pistol certifications. Keeping the whole gang engaged and sharing common adventures is the theme at Marble Mountain Ranch. They also have a reputation for original cuisine and legendary hospitality. 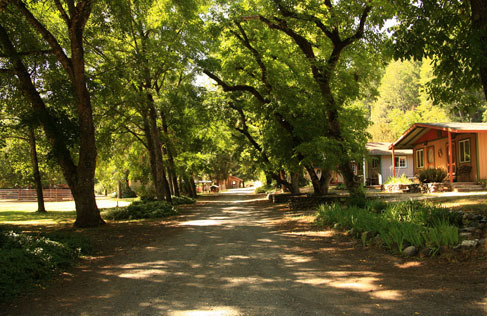 This California guest ranch offers primary family members of Peace Officers and Active Military a 10% discount from regular pricing on any of the ranch's offerings. Pick from your choice of Guest Ranch Vacations inlcuding the prime season saddle / paddle vacations, shoulder season short stays, or even Fall season stealhead fly fishing packages. "We appreciate the service you offer, and wish to give back as we are able. If you are a wounded vet, you may call us privately about a personalized pricing program (1-800-552-6284)!" 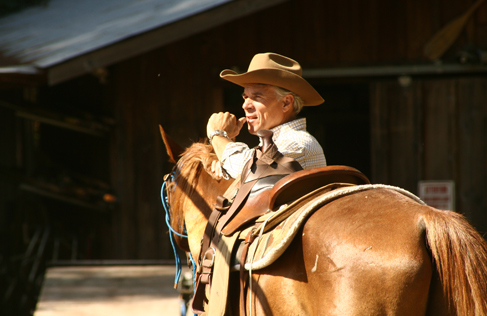 Learn more about Marble Mountain Ranch. Emal Marble Mountain Ranch. 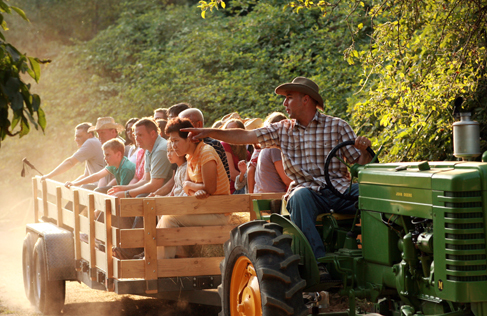 The target audience at Marble Mountain Ranch is families and multigenerational groups. 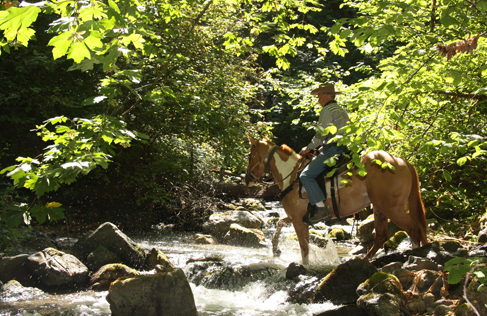 Marble Mountain Ranch offers an affordable dude ranch vacation. Grandparents, moms and dads, and the young-uns can connect and bond in jointly shared events, adventures and fine dining. 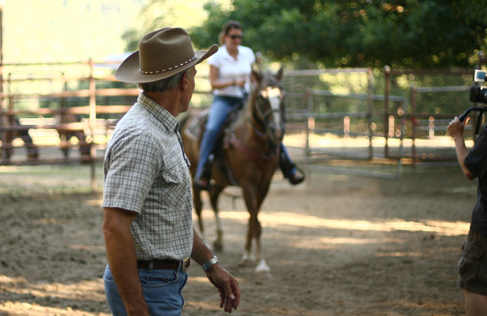 By personally operating and preparing each event and meal, your dude ranch vacation is guaranteed the highest level of quality and attention. 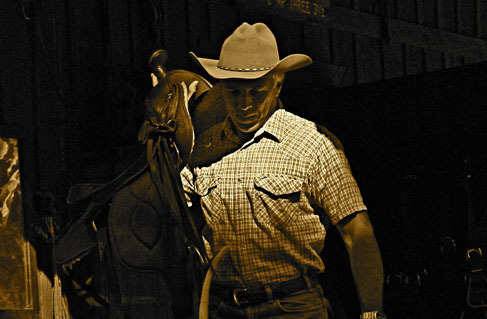 Marble Mountain Ranch owners and family have been in the outfitting and guiding industry since 1981. 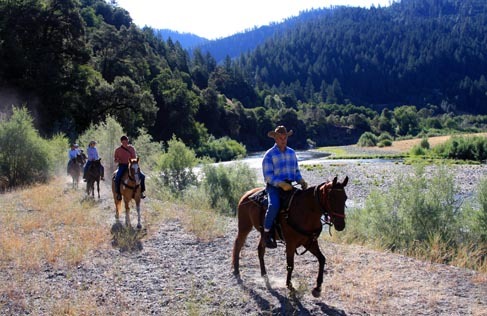 They welcome your family to join them in California's singular all-inclusive dude ranch vacation. 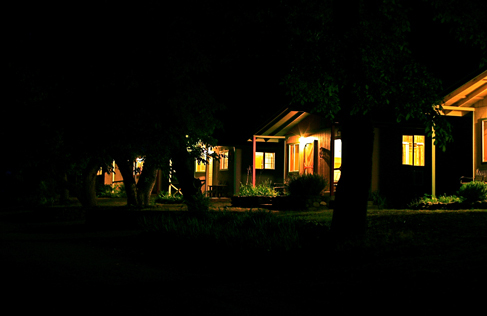 Private cottages and homes complete with linens, private baths, and kitchenettes. Each cabin has a personal kitchenette with microwave and refrigerator at a minimum and some have full sized kitchens with cooktops and ovens. Internet is available in common areas. Upscale cuisine served family style with original recipes and organic produce. Vegetarian friendly and restricted diet friendly. 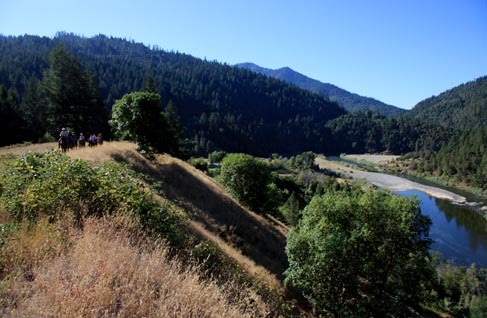 Marble Mountain Ranch is a California dude ranch offering a singular “saddle-paddle” vacation, mixing horseback trail rides, arena riding, white water rafting, fishing, and shooting sports. non-participant children 2 and younger: free lodging & meals with baby sitting as needed @ $17/hr., $20/hr. two children. If you have “Young Buckaroos“, your child will be involved in ranch arts and crafts, feeding the small animals, swimming, and nature walks during the times that you are scheduled for activities that are inappropriate for your buckaroo. Travel Agents Accepted- Marble Mountain Ranch works with travel agents!